Hypoalergenic Down Pillows Or Hypo Down? You Decide. The term “hypoallergenic” is used to describe bedding that causes fewer allergic reactions. This is especially important with pillows because our faces are so close to them for several hours every day. Two types of hypo allergenic down pillows available are HypoDown and unadulterated down. Both are explained further below to help you make the choice that best meets your needs. Hypodown is actually a trademark name use to describe hypoalergenic down pillows made of a mixture of 80% Hungarian goose down and 20% milkweed or Syriaca clusters. Milkweed pod with tiny seeds holding tuffs of hollow, silky, Syriaca floss. The Syriaca floss is combined with quality goose down using bursts of air to create a mixture of inseparable clusters of Hypodown. The price of Hypodown pillows range anywhere from $100 to $300 depending on the size and fill factor you select. 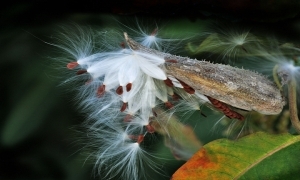 The benefits of adding milkweed to down and feathers are disputed by the Down Association of Canada based on a study done by the University of Nebraska and Kansas State University which found that milkweed does not improve the performance properties of down. Your suffering may be cause by dust mites and not down or feathers. 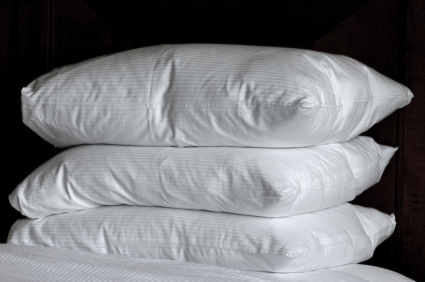 All Pillows at Pacific Coast Feather are hypo allergenic down pillows and lower exposure to allergens while you sleep. Many people fear that if they suffer from allergies that down and feathers will increase their symptoms. A study quoted in the British Medical Journal showed that asthmatics in fact suffered less with down bedding than with polyester bedding. Feathers and down do not provide a desired habitat or food source for household dust mites. To pass quality standards the down used in bedding goes through a sanitizing process to ensure the down is hypo allergenic. It's difficult to say without having experienced hypodown personally but it does stand to reason that if the insulating properties of down are higher than that of Syriaca floss the only advantage of adding it to pillows and other down bedding would be to save on costs, although these savings are not reflected in the price of hypodown pillows. You should decide what is right for you. If you suffer from severe allergies then Hypodown may be the best solution. For others who are simply worried about allergic reactions should rest assured that simple, quality, unadulterated hypoallergenic down pillows will not cause allergies, especially if the pillows are covered with mite proof protective coverings. Return from this Hypoalergenic Down Pillows page to the Down Bedding Delights home page.